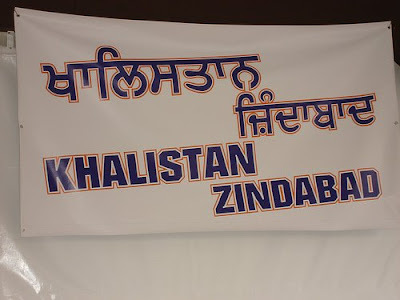 THE ROAD TO KHALISTAN: WHAT CAN I DO FOR INDIA? WHAT CAN I DO FOR INDIA? "What can I do for India?" And, then let us start action on those steps. families and lives, for us. and signed by the author, whose name I am not using, as he probably wouldn't be pleased to see his name here. truth as she sees it. here. I am advocating nothing illegal. 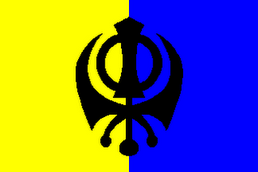 determination movement. This tactic didn't work. the execution of Mrs. Gandhi. before it, it must and it will fall apart by its own weight. I completely agree with you, and the thought of Indian independence does nothing but remind me of the suffering caused to Sikhs and the misacknowledgement of Amritdharis in the country as terrorists. 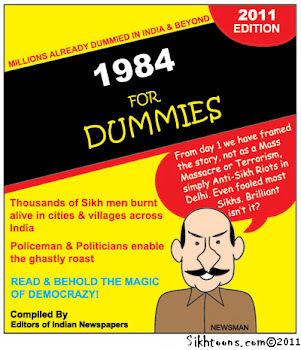 What upsets me, though is the ignorance of most Sikhs anywhere in the world - some who can even call themselves Indian. We say "never forget 84" but if people no longer know anything - what have they to forget?